Jeff Bezos, CEO of Amazon is now the world’s richest man after overtaking Bill Gates who has been a household name on the Forbes annual rich list. According to Forbes, the new world’s richest man overtook Bill Gate (currently worth $90 billion) with about $90.5 billion. With this, the Amazon chief becomes the third American and the seventh man the world over to have ever acquired the prestigious title since Forbes began their assessment of world billionaires in 1987. On Thursday 26th July 2017, shares of Amazon jumped by about 1.6% which translated into the increase of about $1.4 billion in the fortune of Bezos who is also the founder and largest shareholder of the tech giants who has been providing cloud computing and electronic commerce solutions since 1994. 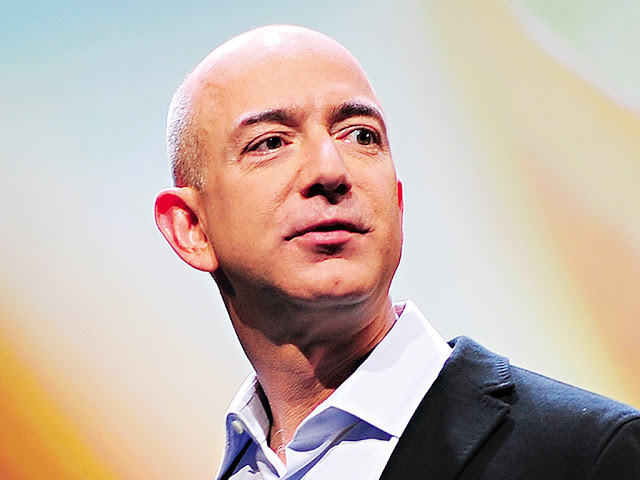 Four months ago, 53 years old Bezos sat in the third position with on the Forbes annual rich list with $72.8 billion after Bill Gates and Warren Buffet who were in the first and second positions with $86 billion and $75.6 billion respectively. The new status also means that Bezos's net worth has risen by about $86 billion since 2007.